Heather will be on hiatus for a bit after this week. We’ll let you know when she’s due to come back. For fans of ABC’s primetime lineup, Variety has up a list of premiere dates for several of their shows. In a blast from the past, EW spoke with Tom Welling about his “suiting up” – or lack thereof – for Smallville. In a lovely thank you video the cast and crew of Sense 8 thanked the fans for their devotion to the show and helping to bring it back. It was revealed at the Television Critics Association event that there will be another four-way crossover between all of the CW superhero shows. The crossover will kick off Monday, November 27 with Supergirl, followed by Arrow (temporarily moving to Monday night for the event), and will finish on Tuesday, November 28 with The Flash and Legends of Tomorrow in their regular timeslots. The 100: Comic-Con brought out some spoilers for the show and who is in the ship seen by Clarke at the end of last season. Agents of S.H.I.E.L.D. : Deadline is reporting that actor Jeff Ward (Manson’s Lost Girls) has been cast in a mysterious, recurring role for season five. American Gods: TV Line has up an interview with Ricky Whittle on season two. American Horror Story: EW has up some new promotional photos for the season. Variety has up some season details from showrunner Ryan Murphy. Lena Dunham (Girls) will be joining the show in a mysterious role. TV Line has up the latest character-driven promotional posters for the new series. Emma Roberts will be back for the new season. Kathy Bates, however, will not be back. Spoiler TV has up the latest promotional posters for the new season. Deadline has up some details on the new season from the show’s panel at the Television Critic’s Association event. Sarah Paulson revealed that her character and Alison Pill’s character will be a couple. The Hollywood Reporter is trying to decipher the clues of the new season. Black Lightning: The show has cast rapper Marvin “Krondon” Jones III as villain Tobias Whale. He will be a regular in the series. Dark Matter: Spoiler TV has up an exclusive interview with Co-Creator/Executive Producer Joseph Mallozzi. The Defenders: EW has up some details from Sigourney Weaver on her villainous character, Alexandra. Variety has up a video interview from Comic-Con with Charlie Cox and Krysten Ritter. EW has up promotional photos for the new series. The Hollywood Reporter has up an interview with the cast at their New York premiere. Doctor Who: BBC America has put up the entire Comic-Con panel on their YouTube channel. Anglophile has a good page worth of links to video interviews of the cast and writers are Comic-Con. The Blastr site put up video of their Comic-Con interview with the cast and crew. The BBC site has up an interview with Jodie Whittaker on how she feels about being the new Doctor. The Exorcist: TV Line has up some highlights from their cast video interview during Comic-Con. The Expanse: Syfy’s Blastr site has up video interviews with the cast and crew from Comic-Con. The Flash: Grant Gustin spoke with EW about Barry returning a changed man. The show has cast actor Hartley Sawyer ( Saving the Human Race) as the Elongated Man and actress Sugar Lyn Beard to play Rebecca Sharpe, AKA Hazard, a new villain. Game of Thrones: EW has up an interview with Gemma Whelan on Yara’s tense situation. The Hollywood Reporter has up an interview with Indira Varma on Ellaria Sand’s fate. EW has up an interview with onscreen sisters Maisie Williams and Sophie Turner. The Gifted: Showrunner Matt Nix spoke with TV Line about how Amy Acker’s character is more than just the Mom character. Gotham: The season premiere date was Thursday, September 28. The Inhumans: Scyfy Wire spoke to the cast at Comic-Con about their character’s powers. Deadline has up some details from the show’s TCA panel. Killjoys: TV Goodness has up an interview with Thom Allison about the recent Pree-centric episode, as well as an interview with actress Mayko Nguyen about her character Delle Saya. Legends of Tomorrow: Showrunner Phil Klemmer spoke with EW about new teammate Zari Adrianna Tomaz and the Team’s attempts to repair time. Deadline has up details and spoilers from the show’s appearance at the Television Critics Association event. TV Insider is reporting that actress Joy Richardson (Holby City) has been cast in an ironic role as an ancestor of her daughter Maisie Richardson’s character, Vixen! The show has also cast actress Jes Macallan ( Mistresses) in a recurring role as Special Agent Ava Sharpe, an agent for the Time Bureau. Legion: The Hollywood Reporter has up some details on season two. Midnight, Texas: TV Line has up an interview with the cast at Comic-Con. It’s a funny, cheesy show. Once Upon A Time: EW has up a lot of new details from executive producers Adam Horowitz and Edward Kitsis on the coming season. Carrying on their tradition, EW has put up a new “Hot Seat” with Horowitz and Kitsis. EW revealed that Emilie de Ravin will be making a return appearance to the show for at least one episode. IGN has up an interview with showrunners Adam Horowitz and Edward Kitsis on the new “requel” show. TV Line has up some details from Adam Horowitz on the new season. Deadline has up some details from the show’s TCA panel. EW has up the latest promotional photos for the new season. The Originals: With the show coming to an end this season, CW president Mark Pedowitz has admitted that there has been some talk of a spinoff centered around the character of Hope. Orphan Black: TV Line has up an interview with actress Maria Doyle Kennedy. Tatiana Maslany spoke with TV Line about the end of the show. EW has up video of the cast saying goodbye to the show. Outlander: TV Line has up some details from showrunner Ronald D. Moore on when Claire and Jamie will reunite. They also have up a breakdown of the new trailer. The Runaways: IGN has up some details from Marvel TV head Jeph Loeb on how the show connects to the Marvel universe. Star Trek Discovery: IGN spoke with the cast at Comic-Con about their characters. You can see the videos here, here and here. EW has up an interview with Bryan Fuller about his exit from the show. And don’t forget the big news that came out of Comic-Con: Lead character Michael Burnham is Spock’s adopted half-sister. Variety has up an interview with executive producer Alex Kurtzman about the delays the show has gone through. EW has up promotional photos for the show. Supergirl: The show has cast 24 alumnus Carlos Bernard to play Maggie’s father. TV Line has up an interview with producer Greg Berlanti on what Floriana Lima’s recurring status means for Alex and Maggie. EW has up their own version of his comments. Teen Wolf: TV Line has up an interview with the cast from Comic-Con. Van Helsing: There’s a new trailer out for season two. Syfy Wire has up video interviews with the cast from Comic-Con. Timeless: Syfy has up some quotes from the show’s Comic-Con panel about its surprise cancellation reversal. The Walking Dead: At the Television Critic’s Association press tour, executive producer Robert Kirkman spoke about the “old man Rick” scene in the new trailer. Westworld: The show is adding three new cast members to season two: actors Gustaf Skarsgård (Vikings), Fares Fares (Tyrant), and Betty Gabriel (Get Out). Wynonna Earp: EW has up an interview with showrunner Emily Andras about last week’s episode. EW has up an interview with showrunner Emily Andras on the latest episode. The X-Files: Mitch Pileggi AKA Skinner will be returning for season 11. After the outcry over no women writers or directors, the show has added two female directors and writers to the staff. Directors Carol Banker and Holly Dale will be joining the show. In front of the camera, it’s being reported that Annabeth Gish will be returning for season 11, as well. Over at EW, the Spoiler Room has spoilers on shows Supergirl, The Defenders, The Flash, Teen Wolf, The 100, Midnight, Texas and the Once Upon a Time. At TV Line, Ask Ausiello has spoilers on shows The X-Files, Supergirl, Black Lightning, The Originals, The 100, Twin Peaks and Supernatural. Matt’s Inside Line has spoilers on shows Arrow, Lucifer, Supergirl and Once Upon a Time. Over at EW, the Spoiler Room has spoilers on shows Legends of Tomorrow, Shadowhunters and Once Upon a Time. The show returns this Thursday night at 8pm. Okeydoke. To be honest, I haven’t done spoilers columns since Comic-Con in July partly because I’ve been very busy, but partly it’s because they’ve been thin on the ground until recently and rather … awful. Further, as it happens, I don’t currently have cable (though I do have reliable access to the show the next day), so I won’t be doing my live recaps until Friday at 8pm. I can do reviews probably by the end of the weekend. Anyhoo, let’s do an overview of what we’ve got. 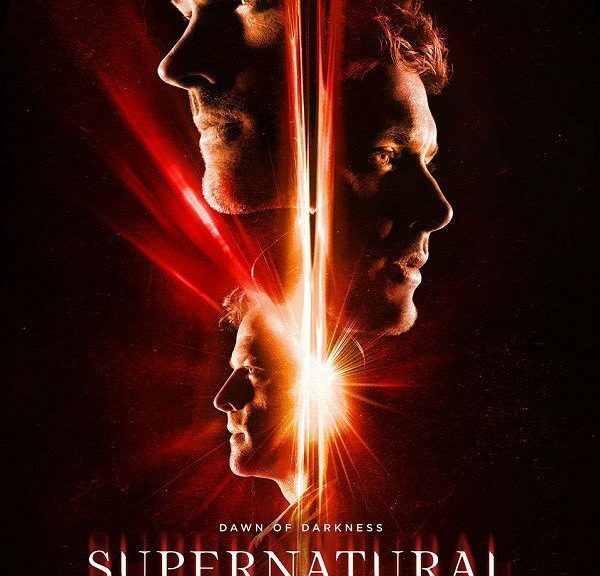 Season 13 so far: “Lost and Found” (13.01), synopsis and photos, promo, preview, and Shaving People, Punting Things; “The Rising Son” (13.02) synopsis and photos; “Patience” (the first spinoff set-up episode) (13.03) synopsis; “The Big Empty” (13.04); “Advanced Thanatology” (13.05); “Tombstone” (13.06); “War of the Worlds” (13.07); “The Scorpion and the Frog” (13.08); “The Bad Place” (13.09); “Wayward Sisters” (13.10); “The Midnight Train” (13.11); “Various and Sundry Villains” (13.12); “” (13.13); “Untitled” (13.14); “Untitled” (13.15); “ScoobyNatural” (13.16). Alexander Calvert (Jack) is being listed as a regular for the season. Don’t get too excited – Lauren Cohan and Katie Cassidy were listed as regulars for season three, and see how that turned out. Being a regular Not Named Sam, Dean, or Castiel means pretty much nothing about one’s chances beyond the end of the season, let alone the number of episodes one gets. Bela didn’t even make it to the end of season three. From what I’ve seen in the promos, I’m deeply underwhelmed by this character. The premise, of course, is pants. It’s basically Dabb trying a redo of Jesse (from season five’s “I Believe the Children Are Our Future”) with an adult actor, without understanding why the character didn’t work for anything more than a one-shot in the first place. Jesse – sorry, Jack – is far, far too powerful (ludicrously, unrealistically so) to generate any kind of decent drama in the MOTWs, so he’s basically like Castiel in season four in terms of “How do we fit this character into our story on a weekly basis?” Short answer: You don’t. And don’t get me started on how often insta-grow, superpowerful Kid Trick characters don’t click with audiences. It doesn’t help that every instance of Calvert in the promos indicates he will be going full robotic with the acting. As past examples like Gadriel indicate, this show’s audience really dislikes that sort of thing. In random casting news, Chelsey Reist from The 100 will guest star on the show at some unspecified date. The show is either totally BS-ing about bringing back Crowley to avoid the fandom backlash or they’re planning to recast him, especially since they’ve already written in a new ruler in Hell (confirmed by the episode synopsis for 13.02 as the last YED, Asmodeus). Either approach sounds … ill-advised. In the same TV Line article, Jensen Ackles gave some brief spoilers about “ScoobyNatural” (13.16). Basically, the Brothers will be animated and there will be a live-action frame to explain how they get into that ‘verse. Mary appears prominently in the photos from 13.01 and 13.02. Her fate has officially been left up in the air, but I doubt she’ll be killed off or over in Fake-SPNverse for long. The show keeps emphasizing that Dean’s emotional arc this season will be dark and depressing. It seems he will call on God for help in resurrecting everyone, will be ignored, will try to kill Jack, will fail at that, and then will become dark and cold. You know a season’s spoilers aren’t wowing you when you hope all of this will actually happen because the only remotely exciting and emotionally real thing coming out as a spoiler is the prospect of Jensen Ackles portraying Dean embarking on his 19th Nervous Breakdown and then going nuclear. Oh, and Sam’s going to be … uh … helping raise Jack, which already has Sam fans less-than-thrilled (it’s almost as if they’ve watched this show before and know how vague a non-story that is). It’s possible this will turn into something more Sam-oriented (and that Dean’s “dark” arc will be forgotten, as that’s happened, too, in the past). But considering Sam’s craptastic track record in helping other kids with powers, and the near-certainty a superhuman character who manipulated his mother in the womb and then murdered her upon birth will turn out EVOL (and that this show continues to struggle with including superhuman characters in the week-to-week MOTW narrative), Jack’s chances of making it past the resolution of this season’s ending cliffhanger without getting killed off or otherwise summarily written out are super-low. It doesn’t help that current showrunner Andrew Dabb thinks the Brothers actually had it easy last season and that it was necessary to take everything away from them for dramatic effect this season. Remember the last time the show did that? That was season seven. Remember how thoroughly loathed that season (and its showrunner Sera Gamble) was by many fans? Yeah. You’d think Dabb would remember that, too, seeing as how he’s been writing for the show since season four, but apparently, that’s part of his general amnesia about show canon. More of a concern is the lack of showrunner interest in Sam and Dean – you know, the show’s actual protagonists. Mind you, after eight and a half seasons of SamSamSam every time we had a mytharc, I’m okay with Sam taking a backseat for that (especially after the lame attempts last season to hand him watered-down “epic” kills and hook him up with the LoL). But somebody’s gotta carry the mytharc in this duo and dear Lord, Show, half of season nine through the end of season eleven for a Dean mytharc is not even close to balance. Plus, the MoC plot was very popular and did very nice things to the show’s ratings. It’s therefore quite annoying to see the Alt-Michael be cast with a black actor, notably because it has very Unfortunate Implications for ignoring the entire vessels premise for season five. It also ignores Dean’s entire season five storyline and it’s become a huge cliché to have the EVOL powerful bad guy get played by a PoC. Come on, show. You’ve already gone to that well enough times to contribute to making EVOL, Articulate Black Guy a cliché (yes, I know it was a lot fresher in season two, but that was a long time ago). Knock it off. It’s non-news, but also an indication of how thoroughly the Brothers are being sidelined on their own show, that Dabb had to come out and tell us that no, they won’t be getting any new love interests any time soon. Warner Bros has announced details about the upcoming Wayward Sisters spinoff. As we already know, it will star Kim Rhodes (Jody Mills) and the rumor that Briana Buckmaster (Donna Hanscum) is in it was confirmed. Also starring will be Kathryn Newton (Claire Novak) and Alex Jones (Katherine Ramdeen), as well as new character Patience Turner (played by Clark Backo). Another new character, Kaia (Yadira Guevar-Prip), has been added to the main cast list. Kaia’s “gift” will be the ability to spirit travel. The spinoff premise and new characters will be introduced via several episodes in season 13. Patience will be introduced in “Patience” (13.03), which also brings back season one character Missouri Moseley (who is Patience’s estranged grandmother and from whom Patience has inherited her psychic gift). Reportedly, the actual backdoor pilot will be “Wayward Sisters” (13.10). I’ll say up front that I want to like this spinoff. I really do. The idea of an all-woman spinoff headed by Jody and Donna sounds great, and it’s rather nice to see Dean pairing off with Jody to find Patience in 13.03 (though if they must bring back Missouri at this point, I hope Dean gives her a piece of his mind). But watching the preview reel for the season, listening to the Nepotism Duo go on and on about the spinoff (making it clear they will be involved in it up to their hairlines), just has me cringing. How has no one at the network yet noticed that these two are astoundingly tone-deaf on the issues of race and gender, not to mention completely out of touch with the younger fanbase the network desperately wants to attract? Why, oh, why, is the network letting two writers who gave us a black woman in a dog collar who was romantically involved with her master (and who even turned into an actual dog) anywhere near a show with two teenage Women of Color in it? That just makes the signs this could all go horribly wrong (like, say, how Kaia sounds an awful lot like the stereotype of the Spicy Latina) that much scarier. And it’s not as though either Dabb or Singer are any better. Every storyline Dabb touches as a showrunner seems to turn to utter bilge. So, yeah, definitely hanging fire on looking forward to that. There will be three calendars for 2018: two large calendars out on July 1 and two mini calendars on September 1. I’ll start doing ratings news again when the season starts up.